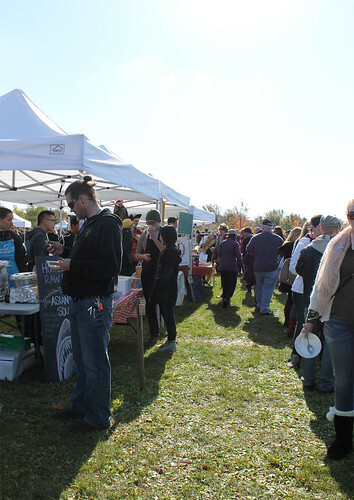 While last year’s Foodstock took place on the picturesque estate of Chef Michael Stadtländer’s farm, this year’s edition moved into the city of Toronto. Over 200 of the best chefs in the GTA and across Canada dished up their soups, made using local produce and products. With my mug and spoon in hand, I managed to sample a few soups despite the difficult decision as to which soups to try when there were so many to choose from. My favourites of the day included Chef Rossy Earle’s Panama-style stew, packed full of potatoes, chickpeas, chorizo and corn, and reminded me of her famous hot sauce. So warm and comforting, like a big hug in a bowl. 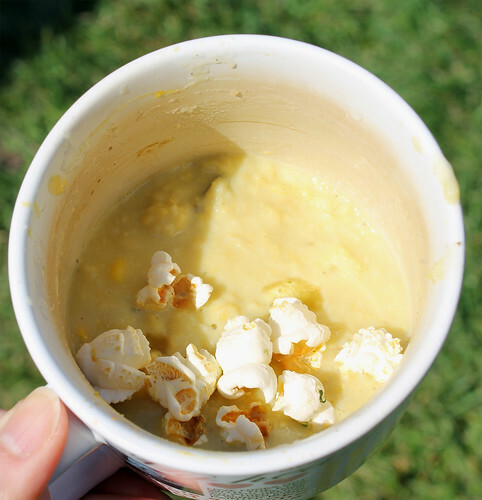 I also loved Oyster Boy’s Smoked Jalapeno Corn Chowder with Smoked Oysters and Cilantro Popcorn. Hey, if protesting can always be this much fun and this delicious, sign me up! To learn more about the “Stop the Quarry” and how you can get involved, visit http://nomegaquarry.ca. 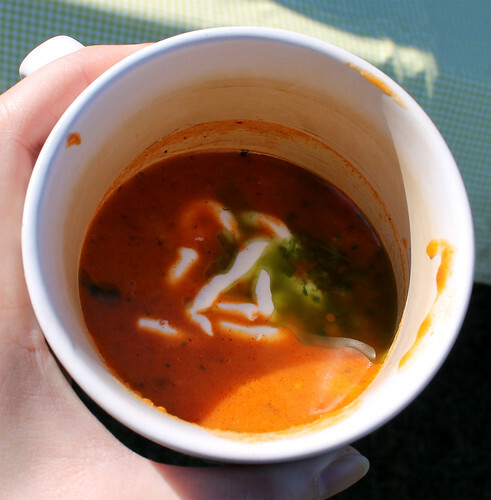 View more photos from Soupstock here. Sammy November 5, 2012 at 2:04 p.m. I hope this happens again soon! I'm sad I missed it!